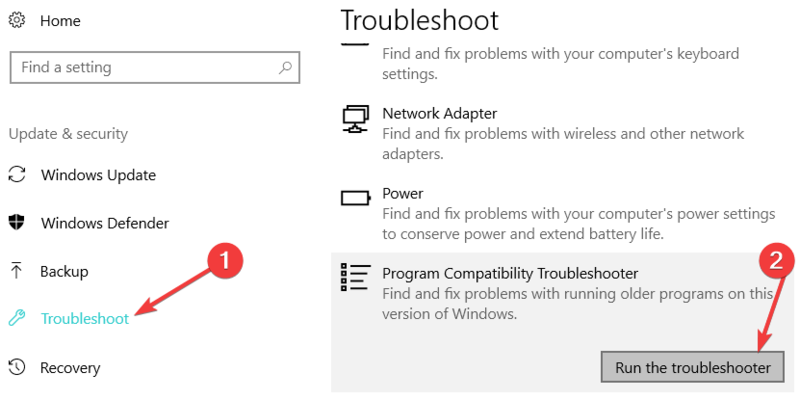 If you want to learn how to disable or remove the Windows 10, 8 and Windows 8.1 “This program might not have installed correctly” error message, then you should use the guidelines from below, where I have described the easiest way to use in order to get rid of the mentioned and annoying Windows alert. 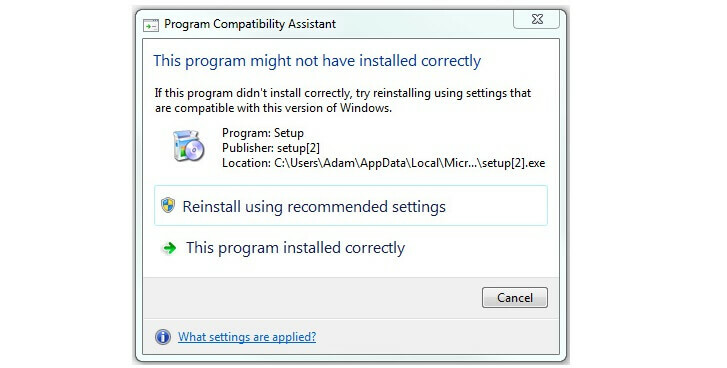 “This program might not have installed correctly” represents a general troubleshooting message displayed by Windows in its in built feature dubbed as Program Compatibility Assistant. 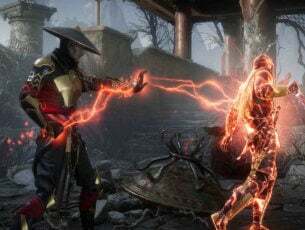 This feature has been included in Windows platforms since Windows Vista which means that we have to deal with the same on Windows 10, 8 and also on Windows 8.1. 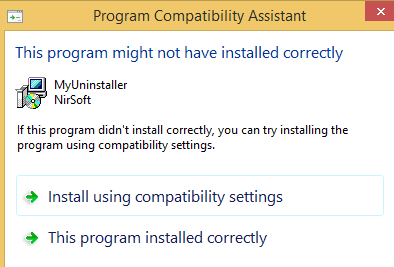 Even though this compatibility assistant might be useful in some cases, on other situations is rather useless: for example the alert message might be displayed even with portable apps which don’t have installers at all. 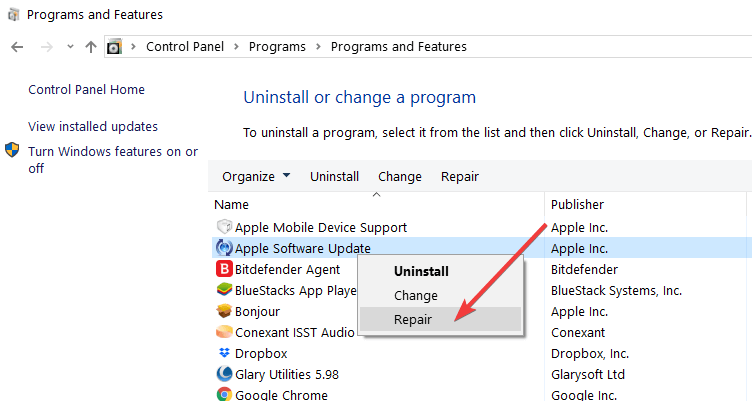 Therefore, if you are tired of getting “This program might not have installed correctly” message on your Windows 10, 8 and Windows 8.1 device, learn how to disable this feature by using the guidelines from below. On your computer, go to your Start Screen. From there press Win + R keyboard keys in order to open the “run” box. 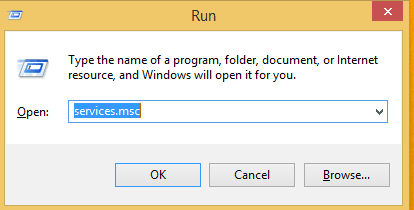 On the same type “services.msc” and click on “ok”. From the Services window that will be displayed on your device search and click on the “Program Compatibility Assistant” service. Double click on the mentioned service and on “startup type” choose “disabled”. Reboot your Windows 8 or Windows 8.1 device and that’s it. Run it > restart your computer and check if the issue persists. Certain apps and software also offer a built-in repair option that allow you to fix general issues. Repairing your programs may help you fix any install issues that might have occurred during the process. You can also repair programs by going to Control Panel > Programs > Programs and Features > right click on the problematic program > select Repair. 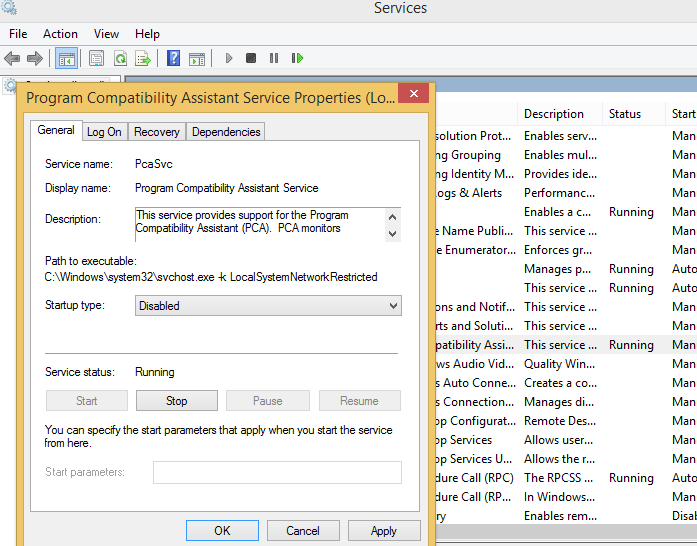 Perfect, you have successfully disabled the Program Compatibility Assistant service from your Windows 10, 8, 8.1 device. So, now you will no longer get the “This program might not have installed correctly” alert message, which means that you can easily complete your daily tasks.